Alfred Robert (A.R.) 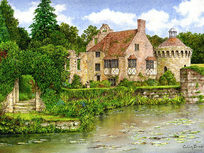 Quinton was an English watercolor artist, famed for his stunning paintings of British landscapes and villages. Following along a professional artist with more than 35 years of experience, this course will guide you through painting A.R. 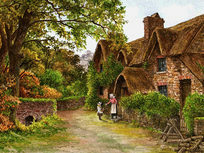 Quinton's Scenes with watercolor and enhancing them using pastel pencils. 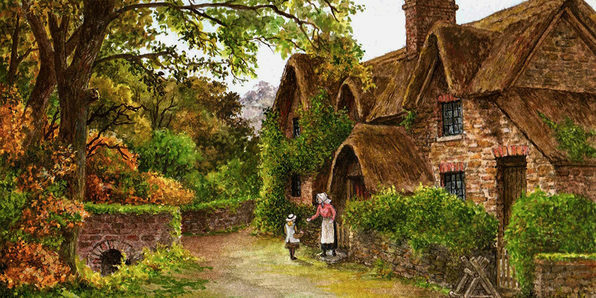 From the sky and trees to foliage and brickwork, you'll learn how to paint a variety of different elements and make them even more vibrant and stunning with pastel pencils. Learn how to paint with stunning, vibrant detail using the watercolor techniques featured in this course! Following along a professional artist with more than 35 years of experience, you'll learn how to paint A.R. Quinton's Hollyhocks. Across 7.5 hours, you'll explore painting a sky, trees, foliage, flowers, figures, brickwork and more. 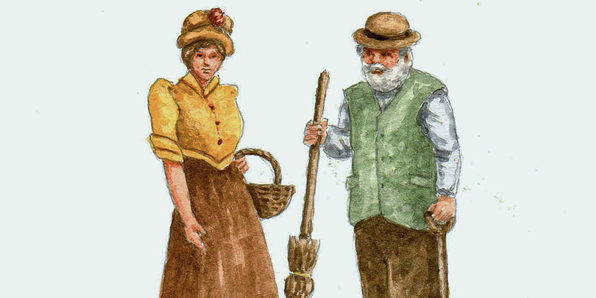 Add a majestic, medieval spin to your watercolor painting with this course! 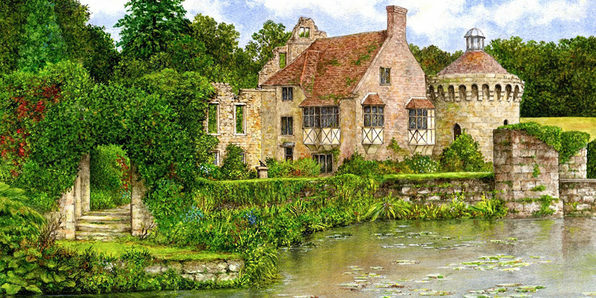 Following along a professional painter with more than 35 years of experience, you'll walk through painting Scotney Castle, a stunning place in Kent, England. 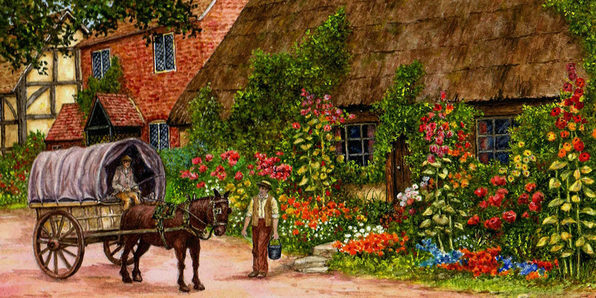 You'll take on the project in simple, easy-to-digest parts, and after learning how to paint the landscape, you'll enhance your painting using pastel pencils, making it even more vibrant, colorful and stunning. 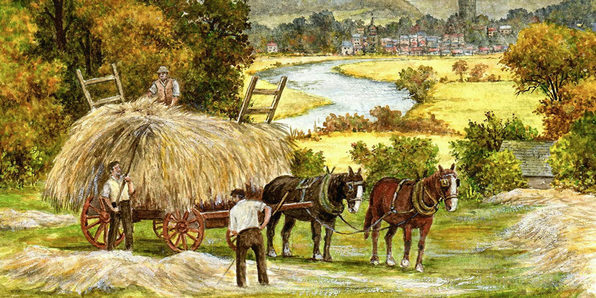 An English watercolor painter known for his depictions of British landscapes, Alfred Robert (A.R.) Quinton is a great example for aspiring watercolor artists to follow. 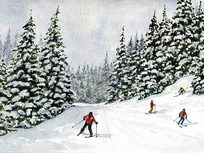 Led by a professional artist with more than 35 years of experience, this course will show you how to paint A.R. 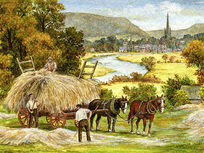 Quinton's Ross on Wye landscape with stunning realism. 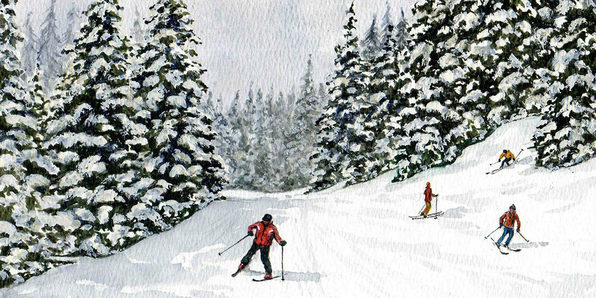 Learn how to paint your own skiing landscape in just one hour with this course! 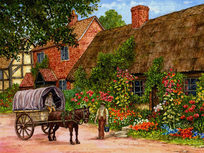 As you follow along a professional artist with more than 35 years of experience, you'll learn real techniques for creating stunning watercolor paintings. Plus, you'll also have access to an outline drawing that you can print to watercolor paper for reference. Figures and people can be tricky to paint, but all it takes is a little help from the pros. 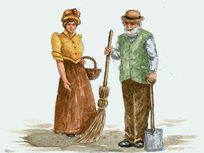 This course features instruction from a professional artist with more than 35 years of experience. In just one hour, you'll walk through painting two pictures with watercolor, and you'll have access to an outline drawing that you can print to watercolor paper.